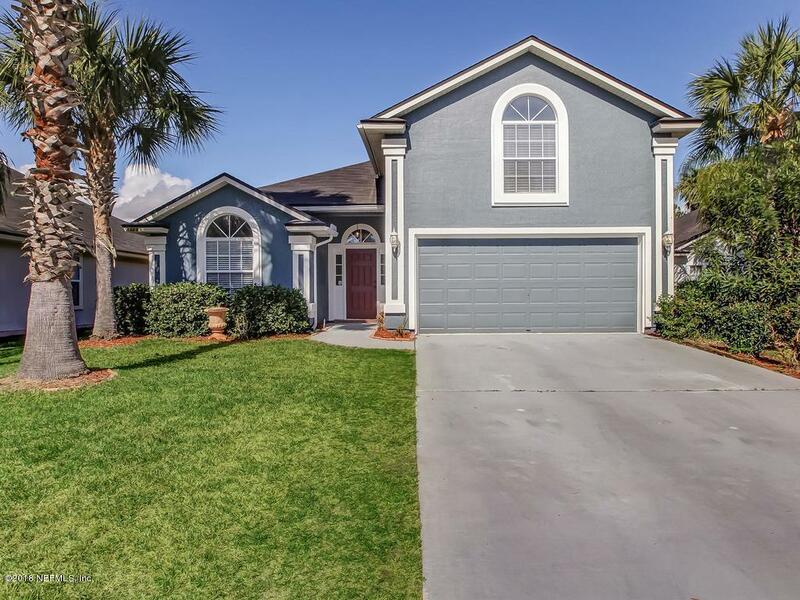 Whether you are taking a family stroll down the quiet sidewalks, playing a friendly round of tennis or golf, or riding bikes to the waterpark pool just down the street, Fleming Island Plantation is sure to amaze! In this 4 bedroom 3 bathroom DR Horton home, you will find plenty of functional space with a split floor plan and soaring ceilings. There is plenty of dining space including a breakfast nook, living/dining combo and formal living space with fireplace that could transition into a romantic fireside dining option! The kitchen boasts double ovens and plenty of counter and cabinet space. A third full bathroom is located upstairs in the bonus room. This home comes completed with a fully fenced backyard located right next to a cul-de-sac. Schedule your showing today!